Thin Ice is a game where instead of a penguin you're playing as a hot burning puffle. This game may be one of the more difficult games on the Club Penguin island. First Step: Open your map and click the Town icon. Second Step: Walk inside the Dance Club. Third Step: Use the stairs and go to the second floor of the Dance Club. 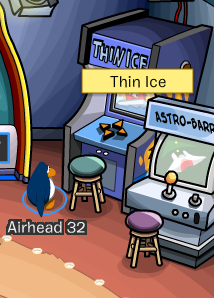 Fourth Step: Click on the game Thin Ice. It will be next to the other game; Astro Barrier. - Use the arrow keys on your keyboard to move the puffle. The W, A, S, D keys will not work. - Once you move to a new ice block there is no going back. The previous ice you had stood on will melt. 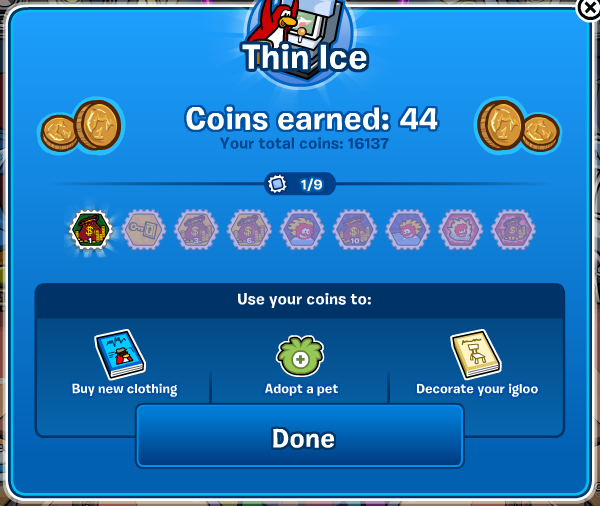 - The more ice you melt the more coins you will get for that level. 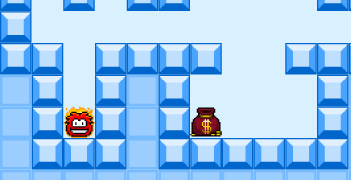 - Passing each level with success will cause money bags to appear in some levels. At the end of the game you will receive your coins and any stamps that you have collected during the game play. Thanks for reading my Thin Ice cheats. This game gets harder and harder as you pass the levels but don't let that discourage you. This game can easily earn you a lot of coins if you get to the harder levels.